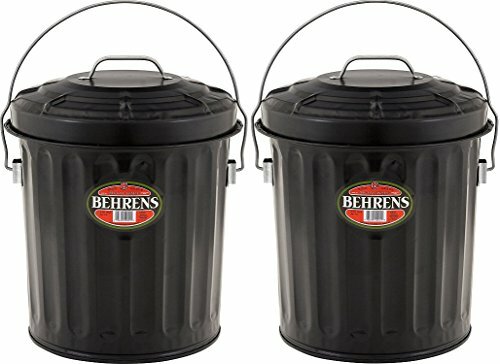 Behrens 7.5 gallon Black Ash Pail has a locking bail to secure the lid and keep contents from spilling. It is an ideal dry storage receptacle for fire place ash, charcoal, pet food, bird seed and trash. It is rodent proof and won't absorb odors. The can has a large handle for easy transport and a wire-reinforced rim.